“Beastly improvident little worm! The good book hath it, you may turn. Turn all you like, but next time think, and don’t turn up in someone’s sink”! “Curiously enough, the order to cease diving was occasioned by nothing more or less than a worm! What little things can alter the course of great undertakings! This little blitherer did; it appeared in an old lady’s sink, way down the village, on Sunday morning, and instead of asking it where it came from, and whether it had been making a night out, and was cooling it’s head prior to returning home, or if it had merely fallen out of her own Sunday cabbages, she blamed it’s sudden appearance on the wretched divers and seizing it by the scruff of it’s neck, she madly waived it in the air, making the welkin ring with her outcry against befouled drinking water”. This narrative from the Cave Diving Group archives is reproduced here to demonstrate just how delicate cave access agreements can be! Negotiating access to caves can be a drawn out and delicate process. Some people have some misconceptions about access to UK cave diving sites. Putting aside the confusion and debates regarding the Countryside Rights of Way Act & designated Access Land, let us instead consider the more common situation of visiting caves. Traditionally, UK cave divers (i.e. those who dive in UK caves) have had a dry caving background. Cave diving was seen as a tool, amongst other specialisms, to further cave exploration. As such, cave divers had spent years understanding cave access as part of their dry caving background. These cavers are often most active in their home area, so build up personal relationships with farmers, landowners, and other cavers and so understand any access issues relevant to particular sites. 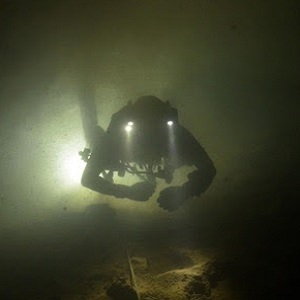 In recent years, interest in cave diving has grown amongst those with a diving, rather than caving background. As such they may have no knowledge or understanding that access is a privilege rather than a right, and needs working at to achieve. Recently, this interest has prompted the publication of guide books which include UK inland sites (as opposed to sea caves). Publication in a book, on the internet, or anywhere else should not be regarded as indication that any site can be visited. Access agreements do change (sometimes with landowner changes) so any information on access, particularly in print should be regarded as potentially inaccurate or out of date. The CDG publishes regional ‘Sump Indexes’ periodically. These are the definitive reference work, to be used in conjunction with ‘dry’ cave reference works. They list all sites of speleological interest, not just those easily accessible resurgences which cave divers can access without dry caving (of which there are but a handful in the UK). The CDG also has an online web forum as part of this web site; this is open to non-members so enquiries could be made there, where locally active CDG members can offer information and advice. Nearly all caves in the UK are situated on privately owned land. Many landowners are content to allow cavers unrestricted access to caves on their land – they do not even require the cavers to visit their homes/ farms to politely request permission to visit the cave. Some landowners like to be asked, but will willingly grant permission. Others require payment of a ‘goodwill fee’ to cross their land to the cave – this could be considered recompense for ‘wear and tear’ to the land/ grass and/ or fences/ stiles/ gates. Another group of landowners are the show cave owners – who make a living out of tourists wanting to see their caves. 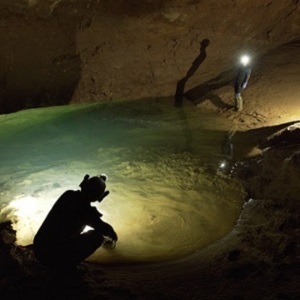 There may thus be conditions attached to visits by cavers, such as the times they enter and exit to avoid them coming into contact with the tourist parties, and the cavers may be expected to pay the same fee as the tourists – after all, the show cave is operating a business…. Then there are caves which have an access agreement imposed on them. These are frequently negotiated between the landowner and a caver management team. These teams are volunteers from within the caving community, who organise and operate an access system on behalf of a landowner; this is often a response to historical access difficulties, and at the request of the landowner who may not want to administer a system themselves. Cavers may be required to arrange a permit to visit the cave and display this in car windscreens, etc. The cave may be gated, which requires the cavers to obtain a key to gain access. Another consideration might be caves which are Sites of Special Scientific Interest (SSSI) which are determined in law and have restrictions imposed to protect them from damage – be it to flora, fauna or the cave itself. Finally, there are landowners who simply do not want cavers on their land – full stop. At the end of the day, a landowner may simply wish to have privacy on his land, which is their right. Cavers are expected to respect access in each of the cases above. Failing to do so may result in worsening of relations with the landowners and the closure of access to the caves – to everyone’s detriment. Landowners have the legal right to refuse access to caves, even on “Access Land” as defined by the CRoW Act. Access to UK cave diving sites can take many years to negotiate and then may only be for a handful of specifically identified cavers. Many sites have been closed by the Landowner when the access agreement is broken or, too many people are visiting the site. In an effort to reassure landowners, the British Caving Association purchases an insurance package each year to provide third party public liability cover for cavers and indemnify landowners. The costs of the insurance are divided amongst the insurance scheme members – each being issued with a plastic card to show he is a member of the scheme should he be required to show this to any landowner. Cavers get a card which shows them to be covered for normal caving activities, and this card is green in colour. The BCA also issues cards in different colours to other ‘special interest’ groups or categories who are members of the insurance scheme. A blue card is issued to members who undertake cave-diving in the UK. 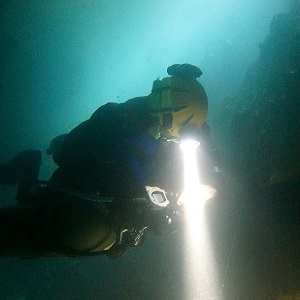 They are members of the Cave Diving Group of Great Britain; the BCA recognises the CDG’s unique position and experience over the last eighty years as the body the vast majority of UK cave divers belong to and whose standards, established over many years, they train to. They recognise that no other organisation has adequate experience, techniques or procedures to train and certify cave divers for UK conditions. That the BCA gives them diving qualification/ certification – IT DOES NOT. CDG Qualification is awarded by the CDG Section following a review of training undertaken by the candidate, combined with both a written exam, a practical test of cave diving skills and techniques, and peer review of their experience. The blue card only confirms that the caver is insured for cave diving under the BCA third party liability scheme. That the blue card gives them the right to access any cave diving sites in the UK – IT DOES NOT. The restrictions imposed on cave divers are exactly the same as those imposed on any caver. Thus, some sites will have unrestricted access. Some sites will require a visit to the landowner to seek permission and may even require the presentation of the blue card to show they are members of the BCA Insurance Scheme. Some show cave owners allow access to CDG members because the CDG has a good safety record, or because they have explored and mapped inaccessible parts of the cave, allowing the show cave owner to open up new areas to the public (and thereby increase profitability). 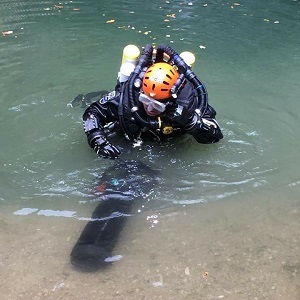 Some landowners allow access to their cave only on two or three occasions per year and stipulate that only fully-qualified cave divers capable of dealing with the challenging underwater conditions they will meet are allowed access. There are also some landowners with whom even tighter access controls have been negotiated – such as only one or two divers know personally to them are allowed into the site. In order to find out what the access situation is at any site liaison with the local CDG Section Secretary or local activists is the best way to find out. Go blundering into any site and you may find that you have damaged access irreparably for everyone else.